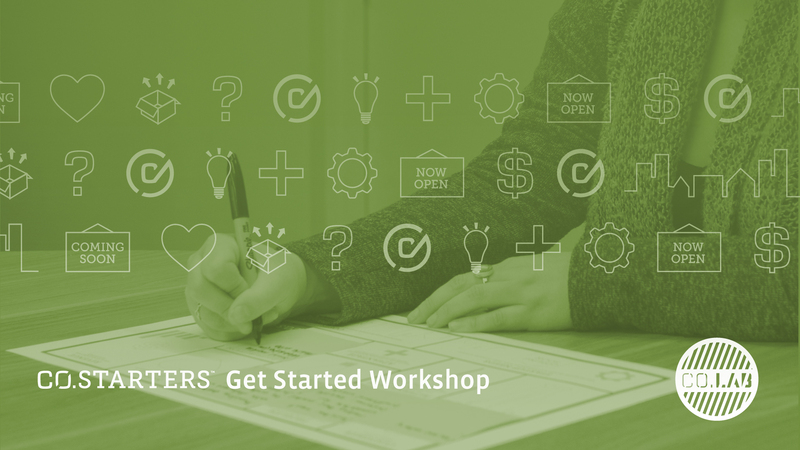 CO.LAB is now offering a half-day CO.STARTERS Get Started Workshop designed to equip you with the insights, relationships, and tools needed to turn your idea into a business. Whether you’re just getting started, stuck on a particular issue, or are in need of a refresher, this workshop will provide the jumpstart needed to get you moving. This workshop is a low-commitment opportunity to understand what’s driving you, explore your idea through the CO.STARTERS Canvas, and refine your model by learning ways to get meaningful customer feedback and start pursuing your idea today. You’ll also have the opportunity to collaborate with other members of the community and make valuable connections to help you along the way.